New Redsn0w Release To Use iOS 5 SHSH Blobs For Downgrading, Save Them Now! The next version of popular jailbreak tool Redsn0w will be able to use iOS 5 SHSH blobs, Redmond Pie has learned. Details are given after the jump. The news comes straight from MuscleNerd – iPhone hacker and member of iPhone Dev-Team – in the form of multiple updates sent out from his Twitter account in which he talks about an upcoming version of Redsn0w which will be able to use iOS 5 SHSH blobs. 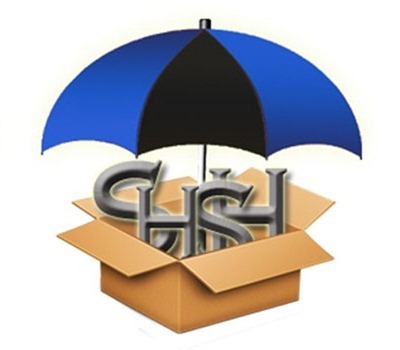 For the uninitiated, SHSH blobs (Signature HaSH blobs) are developed by Apple to prevent iOS device users from downgrading to older versions of iOS. These blobs hold information about which version of iOS users can restore to and which they can’t. Once Apple stops signing a firmware, it becomes impossible to restore to it (i.e. downgrade) unless, of course, you have saved the SHSH blob for that firmware before Apple stopped signing it. Starting from iOS 5, only iFaith could be used to downgrade devices on iOS 5.x, but once Redsn0w’s new version releases, that won’t be the case anymore. For time being, please just use most recent TU to save 5.0.1 blobs+APTicket…redsn0w will do the rest, should you need to restore. MuscleNerd suggests using the latest version of TinyUmbrella to save iOS 5.0.1 blobs along with APTicket. If you need to downgrade, you can use these blobs later on with the new version of Redsn0w. Although we have no confirmed release date for this new version of Redsn0w, we have a feeling it will be released soon. Stay tuned to Redmond Pie as we will keep you updated of whenever the latest version of Redsn0w gets released. In somewhat related news, the world got its first look at the hotly anticipated untethered jailbreak for iOS 5 in the form of a video released by eminent iPhone hacker and exploit discovered pod2g. We don’t have any more concrete details on the jailbreak, other than the fact that it is currently for iOS 5.0 only (iOS 5.0.1 version still being worked on) and that it works, at least, on the iPod touch. We’re hoping it’ll work on the iPhone 4S and iPad 2 as well: devices which are yet to receive any form of jailbreak on iOS 5.